Sierra Chevrolet is scoring goals for AYSO Region 2! 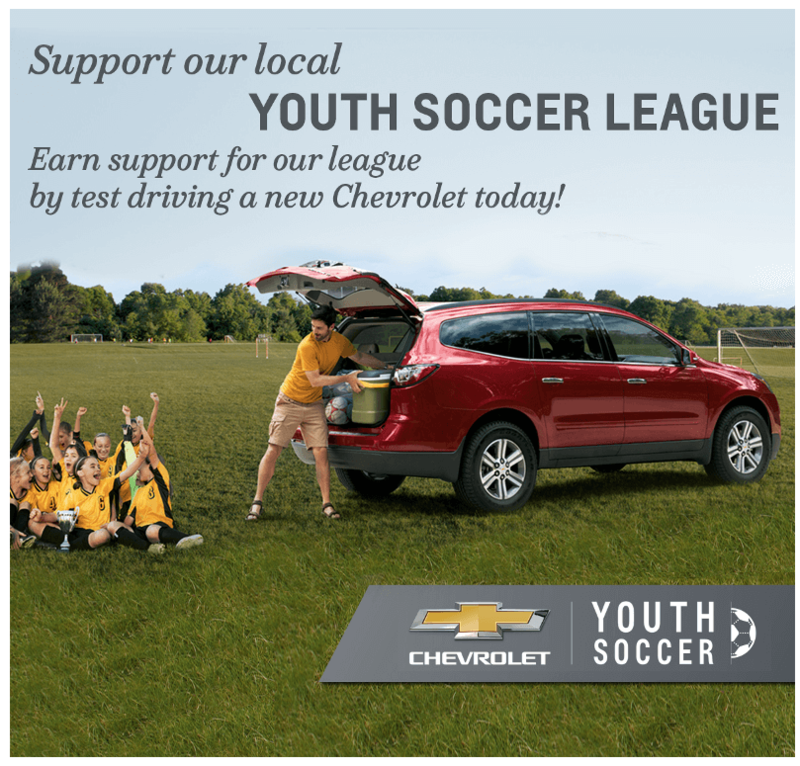 This soccer season, Sierra Chevrolet will donate $25, up to $500, to AYSO Region 2 for each completed test drive! Did you know that Chevy stores can service all makes and models? Stop by Sierra Chevrolet between now and November 30th, and while you wait for your oil change, take a test drive to support the league! The Chevy Youth Soccer Test Drive Fundraiser is EASY! Go online to experiencechevrolettoday.com. Enter in the code found on your validation card and answer a few quick questions.